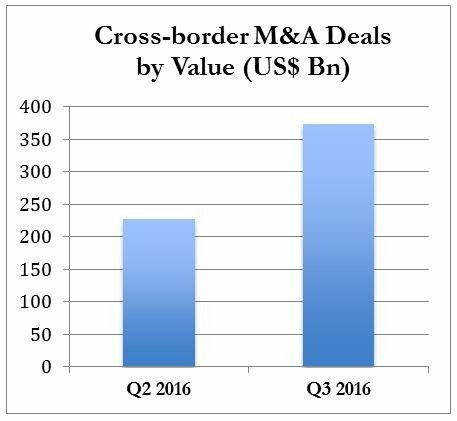 With mega deals leading the market, the global M&A market showed signals of rebounding in Q3. Compared to US$1.0 trillion in Q1 and US$1.1 trillion in Q2, the value of global M&A increased to US$1.2 trillion in Q3, marking the second consecutive quarterly improvement. In all there were 19,416 transactions announced during Q3 and 11 transactions valued at more than US$10 billion each. 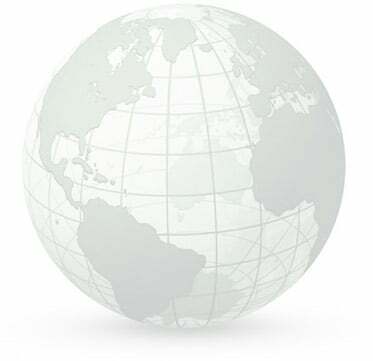 Regarding deal value, the US led the market, followed by UK, China, Canada and India. US companies remain top attractions for global investors as US$416 billion of deals were completed with US targets in Q3. These US transactions accounted for 40% of the global market and were more than double the deal value of either the UK or China. 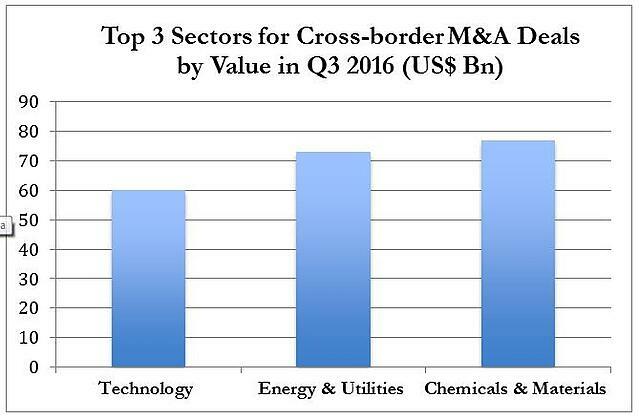 The chart below shows the top five global target countries by deal value. In terms of volume, most of the M&A deals were concentrated in US, followed by China, UK, Canada and Germany, continuing the trend for the first half of 2016. It is worth noting that M&A activities in Germany have remained resilient in the face of slower growth and tremendous volatility in the global market, with both the volume and value of transactions remaining close to the 2015 peak level. What made Germany stand out in the global M&A market rankings is the giant US$132 billion deal between SABMiller and AB InBev, which is the largest deal by value in Q3 worldwide. Interestingly, the ever-increasing deal value in UK is bucking the trend in global M&A market. Since the Brexit vote, there have been rumors that the level of mergers and acquisitions activities across Europe would be threatened; however, the positive M&A data in Q3 2016 signaled newfound attractiveness of European M&A.